Most toys? | Can I Bring the Dog? Chico is monopolizing the good stuff. 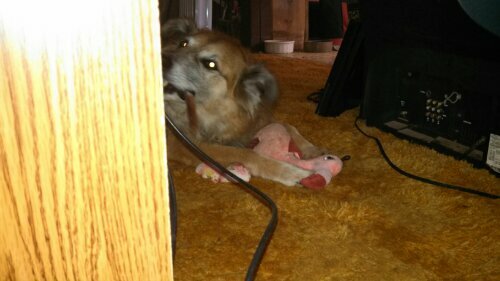 Chico waited until Buddy finished burying the bone I gave Buddy, THEN Chico started on his own bone, but only after locking down his treasured flamingo, Lewis.